On 27 March this year the Tax Ombud, namely, Judge B. M. Ngoepe, confirmed that he had requested and secured the approval of the Minister of Finance to review the alleged delays in the payment of refunds by the South African Revenue Service (“SARS”) to taxpayers. The Office of the Tax Ombud was created by Part F of chapter 2 of the Tax Administration Act (“TAA”) which took effect on 1 October 2012. 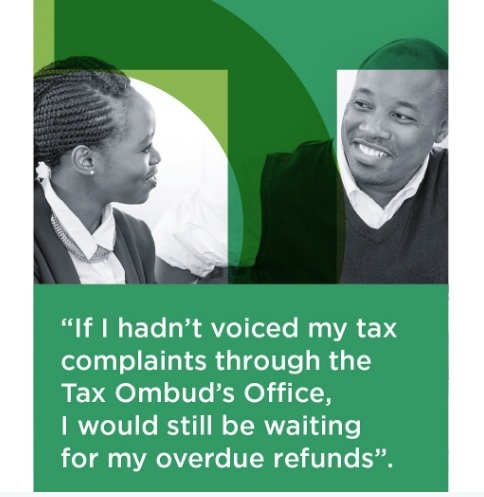 The Tax Ombud was created to deal with taxpayers’ complaints of an administrative nature and is an office independent of SARS which reports directly to the Minister of Finance. The TAA was recently amended conferring greater autonomy on the Office of the Tax Ombud and specifically to enhance the mandate of the Tax Ombud and the power to request that the Minister of Finance approves a request made by the Tax Ombud to investigate any systemic and emerging issue relating to a service matter or the application of the provisions of the TAA or procedural or administrative provisions of the a tax Act. The approval granted to investigate the alleged delays in the payment of refunds to taxpayers is the first review to be conducted under section 16(1)(b) of the TAA which came into operation on 18 January 2017. The Tax Ombud’s review will encompass all categories of tax refunds. The Tax Ombud approached the Minister for approval to investigate the apparent delay in the payment of refunds to taxpayers because of the volume of complaints received by the office of the Tax Ombud from taxpayers regarding the delay in refunds. The Office of the Tax Ombud has accordingly advised both SARS and external stakeholders, comprising professional bodies representing tax practitioners and others of the investigation into the delays in refunds. SARS indicated that it will cooperate with the office of the Tax Ombud during the course of the investigation. 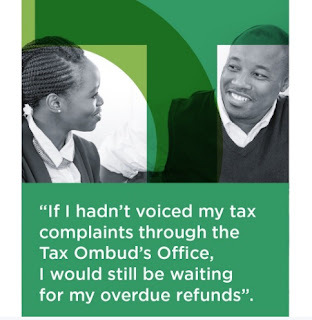 The Office of the Tax Ombud has confirmed that it will engage both SARS and concerned taxpayers regarding the delays in payment of refunds to taxpayers. The Office of the Tax Ombud will investigate the question of refunds due to taxpayers and make recommendations to the extent necessary. In my capacity as chairman of the TAA sub-committee of the South African Instituted of Chartered Accountants (“SAICA”), we have received various representations from members of SAICA regarding the delay in refunds being paid to taxpayers. Many delays are experienced by taxpayers claiming VAT refunds and whilst it is accepted that SARS must ensure that refunds are in order and prevent payment of fraudulent claims, taxpayers have experienced unnecessary delays in the payment of refunds. In many cases taxpayers have submitted VAT returns reflecting a refund payable and then suddenly SARS takes a decision reversing all input credits claimed by the taxpayer eliminating the refund without due process being followed which requires that SARS informs the taxpayer of reasons for adjustments made in assessments issued to the taxpayer. There have been a number of complaints that VAT vendors have submitted VAT refund claims only to discover that the refund has been eliminated on the basis that SARS requests the documents which it has not apparently received. Unfortunately, taxpayers often submit documents to SARS which are not property receipted and despite having submitted documents on more than one occasion encounter problems in dealing with SARS such that the refunds are eliminated without proper notice being given relating thereto. In the case of income tax SARS will often summarily disallow all expenses claimed by a taxpayer despite the fact that the taxpayer’s expenses had been allowed in the past and will not properly consider the documents submitted by a taxpayer on multiple occasions. In some cases the documents submitted by taxpayers are voluminous and difficulties are encountered by taxpayers in filing the documents through the e-filling system because of constraints on the SARS system. Taxpayers have also encountered difficulties in securing refunds from SARS after the successful conclusion of alternative dispute resolution procedures or after successfully prosecuting a tax appeal in the tax court. Once the tax court has delivered a judgment and SARS has decided not to appeal it and the taxpayer has paid the tax in dispute, the taxpayer is entitled to a tax refund together with interest thereon. In some cases taxpayers may secure the payment of their tax previously paid under protest but encounter further difficulties in securing the payment of the interest to which they are entitled under the provisions of the TAA. Taxpayers who have encountered unreasonable delays in the payment of any tax refund from SARS should inform the Office of the Tax Ombud so that their case can be considered as part of the general review being conducted by the Office of the Tax Ombud into the alleged delay of refunds payable by SARS to taxpayers. 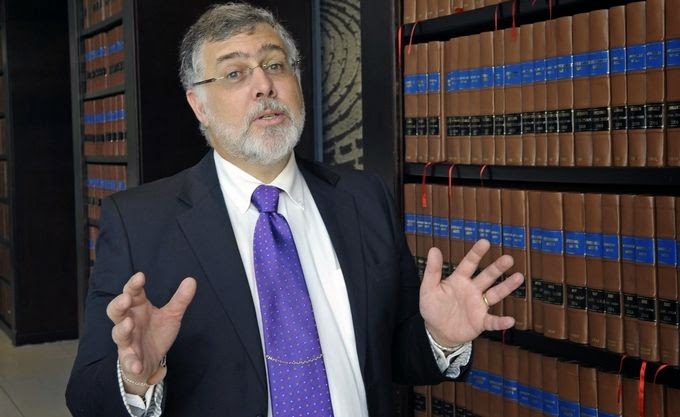 Professional bodies have also made submissions to the Office of the Tax Ombud to assist it in its investigation into the delays faced by taxpayers in securing refunds from SARS. It is hoped that the investigation into the delays in refunds will result in substantive proposals being made by the Office of the Tax Ombud to ensure that the undue delay in payment of refunds does not occur in future which adversely affects taxpayers’ business operations in South Africa. Dr Beric Croome is a Tax Executive at ENSafrica. This article first appeared in Business Day, Business Law and Tax Review, June 2017.